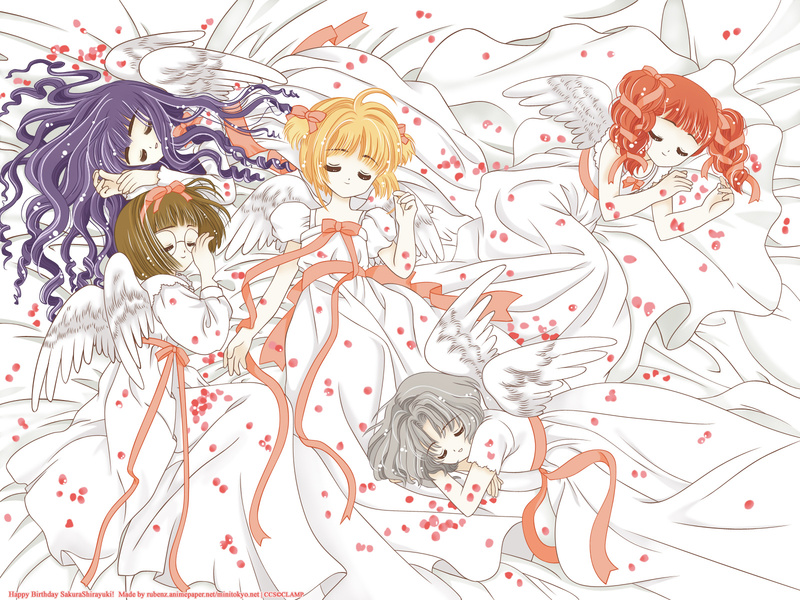 Minitokyo »	Cardcaptor Sakura Wallpapers » Cardcaptor Sakura Wallpaper: Sleep! The moment I saw this image I love it, they are so serene and I like them all (esp Tomoyo ^^). For the background I didn't do much, I only vectored the image, though the vector itself took me so much time, and I hate doing the petals. Very neat! I like the simplicity and the soft colors. Nicely done! Cardcaptor Sakura will always be one of my favorite anime! The lines are very neat and the colors certainly represent the serenity of this vector. Keep up the awesome job! OMG! thank you soooo much! it really doesn't matter, that it's late! I'm sooooo happy you did this for me! WoW! Nice vector! I love it! I love the colered outlines! They look so cute! wow, amazing vector. Great work! Waii! You vectored that whole scan! Wow~ That must've been some hard work! And it really looks lovely! I love that scan as well ^_^ Great job, you really have talent! The girls in CCS look really cute here. The calm whiteness of their clothing compliments their peaceful look. 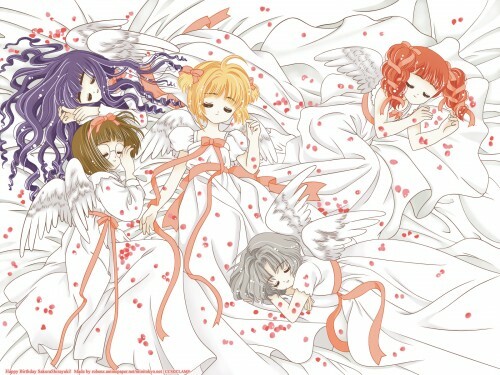 CCS is so cute, hm... their sleeping face make it cute doubled ! o_O this is freaking amazing! The vector is amazing, especially on the hair! It gives really nice highlights to a very cute scan! Tomoyo and Sakura are the best . The vector is pretty amazing! Keep it up te great job!